Vincent Arcuri, Plant Manager, is responsible for planning, organizing and directing manufacturing operations on a day to day basis. 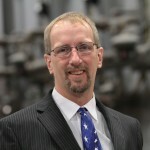 He will be tasked with increasing production while minimizing costs, and providing leadership in an effort to continually improve product quality. Vincent will optimize manufacturing efforts with the implementation of a computer generated production scheduling system. 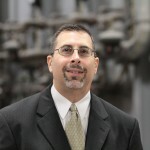 Vince joins Blasch with over 25 years of plant operations experience including manufacturing, quality, safety and project management. Vince holds a B.A. in Science from Hofstra University in New York. Anthony Valovic, Second Shift Manufacturing Supervisor, is responsible for providing supervision and development coaching for manufacturing personnel on the second shift. In addition, Anthony will be responsible for the evaluation of manpower, facility, and tooling requirements to provide timely customer response. Anthony comes to Blasch from FAGE USA where he was responsible for the daily operations of the plant, including safety of manufacturing personnel and quality of the end product. Anthony holds a Bachelor’s Degree in Accounting from the State University of New York at Albany.